For the past five hundred years, the island of Hvar has featured a unique tradition - the "Follow the cross" procession. The deep spirituality of the island population, during the sixteenth century, gave birth to this ritual, which has placed Hvar on the UNESCO list of intangible global cultural heritage. During the night between Maundy Thursday and Good Friday, the procession symbolizing the Way of the Cross sets out from six of the island's towns simultaneously. It is led by cross-bearers, followed by white-clad members of ancient religious cofraternities, and of course the faithful. 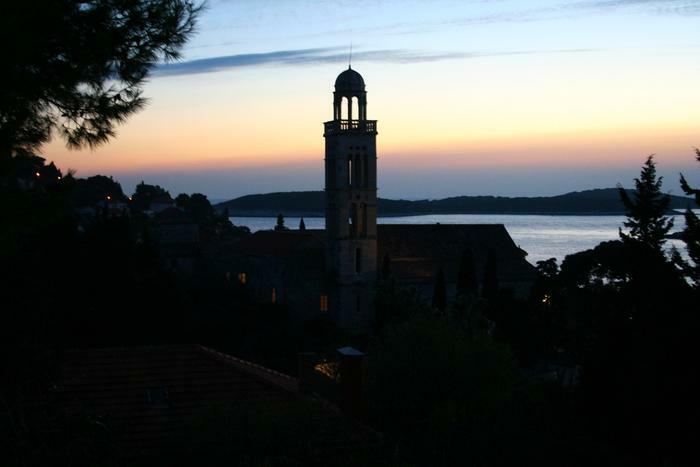 During this nocturnal rite, Hvar resounds with traditional hymns and prayers which only end with the coming of dawn. This centennial tradition went on uninterrupted even during World War II, when much of the population was displaced in refugee camps as far away as Egypt. The tradition was kept up, although obviously slightly modified. Many come to Hvar to witness and participate in this unique combination of pilgrimage, a walking tour of the Adriatic's longest island, religious music and candlelight.